This mid-century desk with a world map on the top hit Austin's Craiglist yesterday and it was gone before I left work. If it stuck around for more than a few hours it would have been the future homework desk of my little one. It would have had to live in the attic for years seeing as school hasn't even started yet, but it would have been worth the wait. 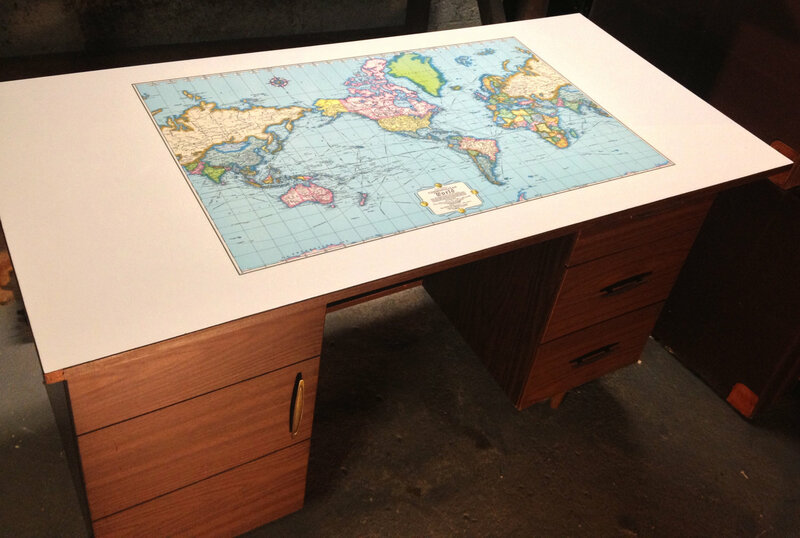 Luckily, it looks like there are a few different mid-century desks with world map tops out there. Hopefully one will be available when homework time starts. Nice! I haven't seen this before. 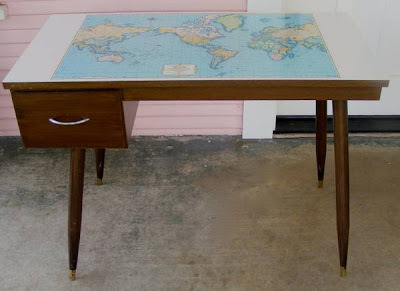 we just bought one at a yard sale for a dollar. A dollar! That is a great yard sale find. 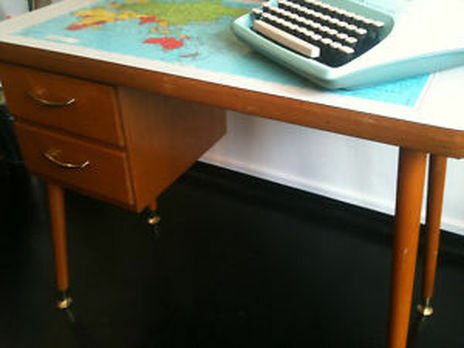 I have a similar desk that's def from the 50s. 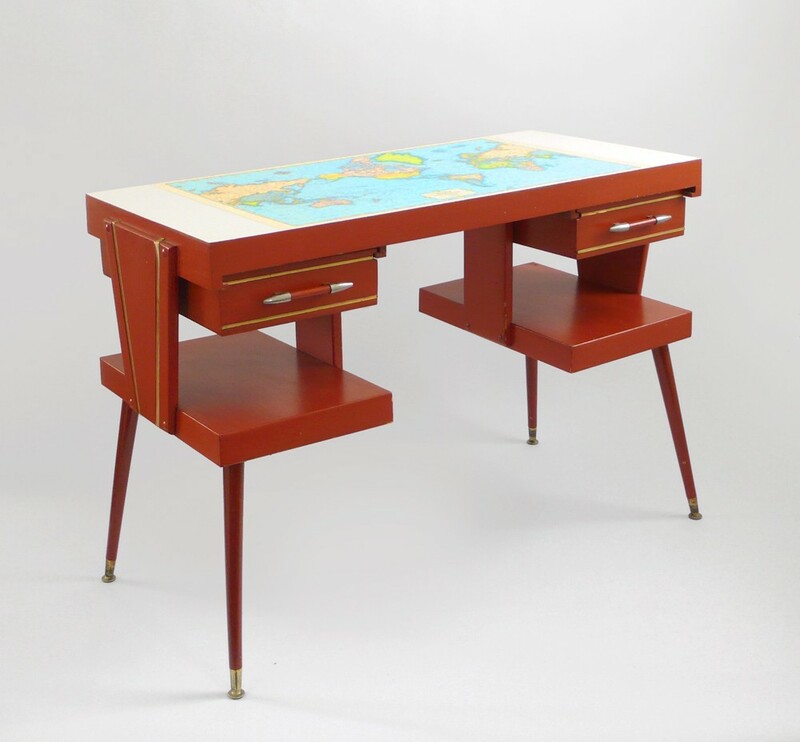 Does anyone have any more information about the desk? Who made it? Where it was purchased? I have been searching with no luck. Sorry, I wasn't able to track down any more information about these map top desks either. There might be a maker's mark that could get you down a good path. Check then inside and under of all the drawers, all around the area your knees go and on the back - that's where they typically hide.